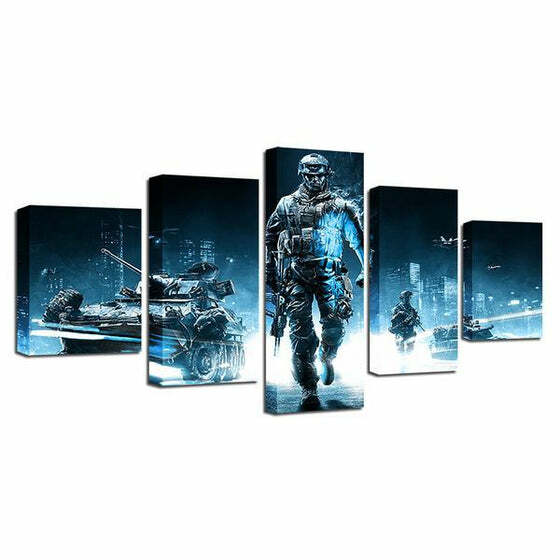 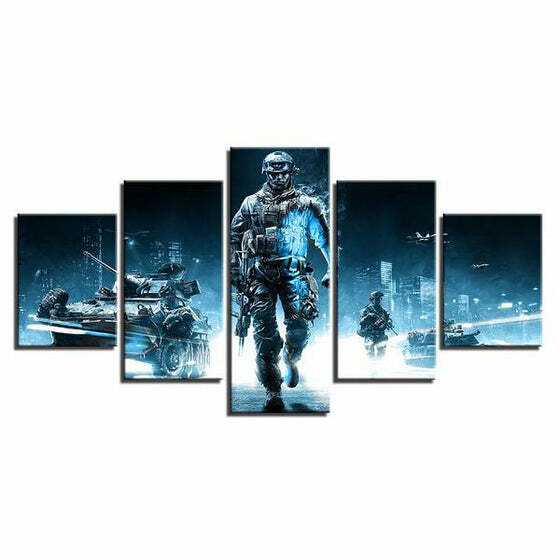 Power up your game room by hanging the Battlefield 3 Operation Metro Canvas Art printed split 5-panel pieces. 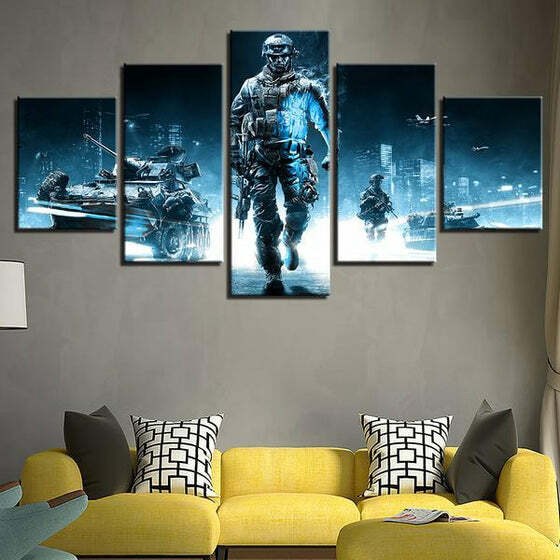 This games-themed canvas wall art will amplify your home with a wall decor made with top-grade materials. 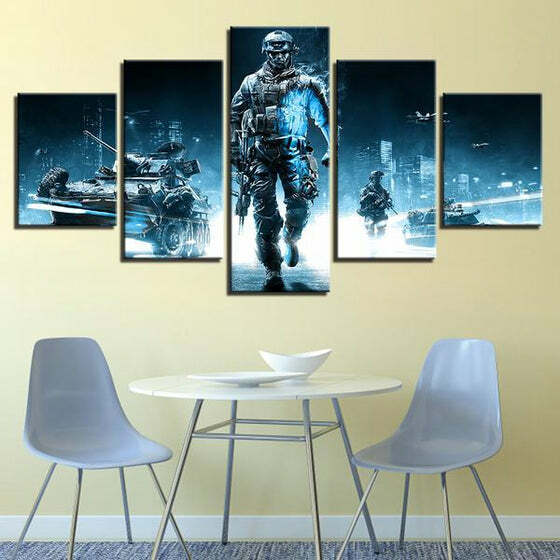 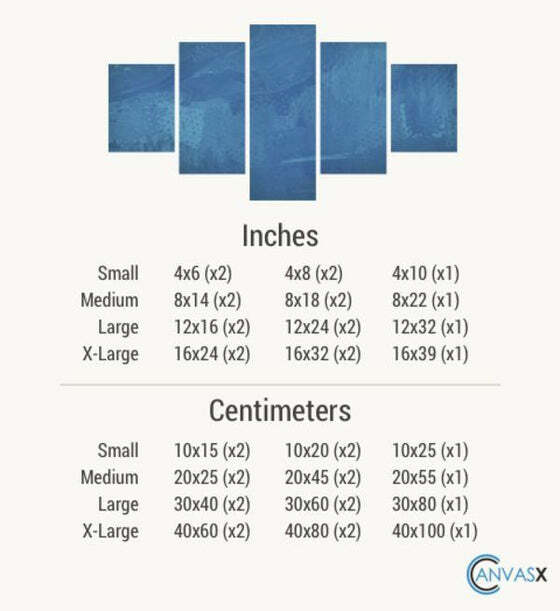 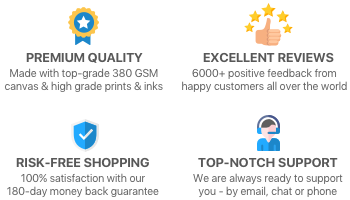 Enjoy your online shopping with our amazingly affordable canvas prints today. 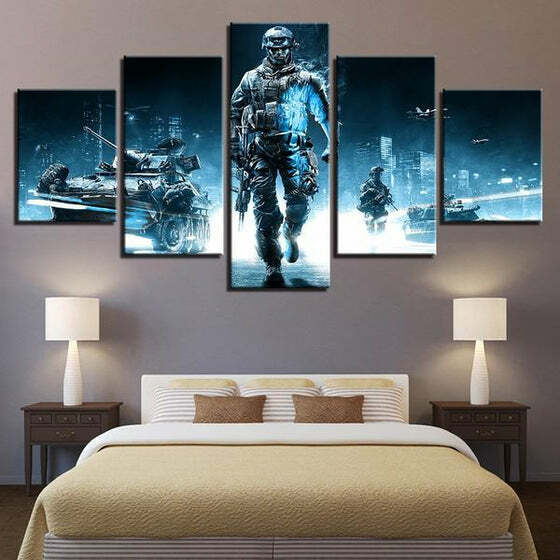 This is a limited time offer so buy now!